Parenting is the most challenging job you will love. It also takes a lot of leadership. For those who don’t know me, I am a full time solo parent of a 14-year-old daughter. Yes deep breath. It is wonderful and challenging. It is also very tough. Thing is, I know many single parents; men and women who are trying to keep it together at home whilst working. Let me tell you something, I am juggling numerous balls; building a business, keeping the house clean, paying the bills, cooking the dinners, driving my daughter to school, being a leader, mum and entrepreneur, leading a team, coaching leaders, managing clients and programs and the list can go on and on. Some days I am really proud of doing it alone; other days I feel just awful. The only thing that matters is the leadership you are demonstrating to your children and to yourself. I am meeting more and more parents who are doing it all alone. In turn, I thought it is time for me to share some insights and tips to help you make to work. Take the Oxygen Mask first. You know how they tell you on the plane in case of an emergency to take the e oxygen mask first? Make sure you do it. Take care of yourself first. Make sure you do things for yourself too. Engage, Watch and Listen. Try everyday to do something that you can engage with your children, and watch their behaviour. They might be telling you one thing but their behaviour is saying another. Listen to them, actively listen to them. Keep the conversations open and supportive. Inclusive Leadership. I include my daughter in my business. I take her to meetings at times, she attends speaking events with me, she helps me put together goodie bags and helps me with my programs. She knows the purpose and vision; the what, why and how of my business. I tell her that she is the reason I do what I do. If I can do it, she can. Let the mess go. I can get home and it can look like a disaster. I am exhausted and the last thing I feel like doing is cleaning up after a teenager. I focus on what matters. I focus on the whole picture. It is okay, it is just mess and eventually it will be sorted. Remember you are human. There are days I feel overwhelmed. I doubt myself. I feel guilty. Remember you are human; feel everything. Don’t treat your feelings as good or bad. You will get through it. Keep moving forward and do your best. There is an art and science to parenting and leadership. We are going to stuff up. Remember to just breath. Ask for help. I find this a tough one; it is a must. Ask for help. When you are feeling overwhelmed or you have times when things are due and you need to work a little bit long or harder, ask! I have an amazing support network around me and I make sure I ask for help. Focus on their strengths. I found my daughters strengths and I focus on them. She is an excellent writer and I have asked her to write an article for my magazine. She was thrilled. I don’t harp on the weaknesses, as we are not perfect. I celebrate her talents and strengths. Get off the technology. I make a conscious effort now (after my daughter flagged several times) to get off the computer or phone at home. I also make sure that I walk into the house without the phone in my hand and finish all conversations prior to getting home. If I need to work on the rare occasion, I tell her and make sure she understands why. Show them you care. They are your family. No one matters more. They are the only things that matter. Remember to tell them you love them, you are proud, celebrate the B on their report card, have fun and let them be kids. You might find you will feel like a kid again too. Be present. Believe me as a single parent you can lose focus on the little things like their room isn’t tidy or the big things like the massive report you need to present. This is life. We are busy (even though I have taken this word out of my vocabulary and use the word I work hard instead); I get it. The best gift you can give them is to be truly there. Be present. Everything else can wait. Remember you can only do your best, and you are an amazing parent. 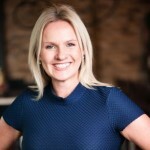 Sonia McDonald is the Chief Executive Officer of LeadershipHQ, a Brisbane, Austriala-based leadership and strategy consultancy. Prior to LHQ, she was in executive management with AHRI and FutureStep/KornFerry (Asia). Sonia was recently named as one of the Top 250 Influential Women Leaders across the globe for 2015. Her writing is read on Linkedin, Richtopia, Business Insider, Women’s Business Media and The Australian. Follow her on Twitter. © Copyright 2019. Executive Vine, Inc.